"I have always tried to exploit the photograph. I use it like color, or as the poet uses the word." 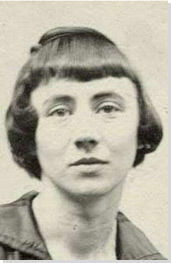 Höch was not only a rare female practicing prominently in the arts in the early part of the 20th century - near unique as a female active in the Dada movement that coalesced in her time - she also consciously promoted the idea of women working creatively more generally in society. She explicitly addressed in her pioneering artwork in the form of photomontage the issue of gender and the figure of woman in modern society. Her transformation of the visual elements of others by integrating them into her own larger creative projects evidenced a well-developed early example of "appropriation" as an artistic technique. Höch was a key progenitor of the self-conscious practice of collaging diverse photographic elements from different sources to make art. This strategy of combining formerly unrelated images to make sometimes startling, sometimes insightful connections was one that came to be adopted by many Dada and Surrealist artists of her era, and also by later generations of "post-modern" conceptual artists in other media, including sculptural installations, mixed media and moving images, as well as in still photography. Höch also helped expand the notion of what could be considered art by incorporating found elements of popular culture into "higher" art. She was one of many Dadaists to take advantage of such means, but she was both among the first, and one of the most self-consciously explicit in describing the goals and effects of doing so. A political iconoclast, she actively critiqued prevailing society in her work, and, implicitly, through many of her life choices. Her active interest in challenging the status of women in the social world of her times motivated a long series of works that promoted the idea of the "New Woman" in the era. Saying, “I always had an experimental turn of mind,” Hannah Höch transformed her experience working with textiles and mass media images for commercial women’s magazines into pioneering Dada photomontages with a gender-bending feminist slant. Interactive chart with Hannah Höch's main influences, and the people and ideas that the artist influenced in turn.